As death rates from liver cancer rise, it helps to understand what causes the disease and what you can do to reduce your risk. Drinking two additional cups of coffee per day can reduce the risk of developing liver cirrhosis, which often sets the stage for liver cancer, by 44 percent, according to researchers from the Southampton University in the UK. 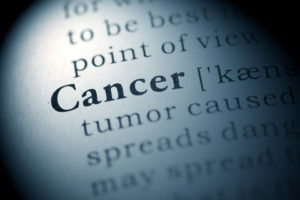 With advances in treatment and early detection, the incidence and death rates of nearly all of the most common cancers in the United States are on the decline, according to a recent report. However, liver cancer is bucking the positive trend, as rates of this disease continue to climb. The increase in the incidence and deaths from liver cancer is due to several factors, including those related to cirrhosis of the liver. As such, it’s vital to recognize the factors that increase your risk of liver cirrhosis and take steps to protect your hepatic health and guard against liver cancer. In an online report published March 9, 2016 in the journal Cancer, the National Cancer Institute (NCI) noted that from 2003 to 2012, the overall cancer death rate in the U.S. fell by 1.5 percent per year—an average of 1.8 percent per year for men, 1.4 percent per year for women, and 2 percent per year for all people up to age 19. Additionally, during the same period, the overall incidence rates of the most common cancers decreased among men but remained unchanged among women. Among both genders, however, deaths from liver cancer increased at the highest rate of all cancers—2.8 percent per year in men and 2.2 percent annually in women—according to the report. The incidence rates of liver cancer also rose sharply, second only to thyroid cancer, the NCI noted, and men were nearly three times as likely as women to develop the disease. The NCI reported that liver cancer incidence rates from 2003 to 2012 were higher among baby boomers, those born between 1945 and 1965. Among the reasons for this finding is the higher rate of hepatitis C infection among this population. In fact, among adults age 65 and older, more than one in five cases of the most common form of liver cancer, hepatocellular carcinoma, can be attributed to hepatitis C infection, according to the NCI. Hepatitis C and B infections are significant risk factors for cirrhosis of the liver, which sets the stage for most cases of liver cancer. Cirrhosis occurs over time as healthy hepatic tissue is replaced by scar tissue in response to repeated liver damage. Additionally, research points to other potential lifestyle-related risk factors for cirrhosis that may indirectly increase liver cancer risk: namely, diabetes and obesity. Obesity triggers a release of fat-derived hormones and inflammatory substances that contribute to insulin resistance and the accumulation of fats in the liver. This buildup of fats can lead to non-alcoholic fatty liver disease and, in some patients, a more advanced form known as non-alcoholic steatohepatitis, which may progress to cirrhosis and a higher likelihood of liver cancer. If you were born between 1945 and 1965, undergo screening for hepatitis C infection, as recommended by the Centers for Disease Control and Prevention and the U.S. Preventive Services Task Force. Limit your alcohol consumption to two drinks or fewer per day for men and one or fewer for women and anyone over age 65. If you struggle with alcohol abuse, talk to your physician about programs that can help you overcome your addiction. Work with your doctor to optimize your weight and blood sugar and minimize your risk of fatty liver disease, which may progress to cirrhosis of the liver. Symptoms of liver cancer usually don’t manifest until the disease has progressed. Liver cancer symptoms may include a lump or pain on the right side of the abdomen, just below the rib cage, or in some cases pain in the upper abdomen near the right shoulder blade. The disease also may cause jaundice, nausea and/or vomiting, loss of appetite (feeling full after eating only a small amount), weight loss for no apparent reason, and itching. If you experience these symptoms, seek a prompt evaluation so you can start treatment as soon as possible. Although routine screening to identify liver cancer early on generally is not recommended for people at average risk of the disease, your doctor may recommend periodic surveillance testing if you have chronic hepatitis, cirrhosis of the liver, or risk factors for these diseases. Ask your physician if you should be screened. alcohol, alcohol consumption, appetite, blood sugar, cancer, cancer risk, cancer symptoms, cancers, carcinoma, cirrhosis, cirrhosis of the liver, common cancers, diabetes, diabetes and obesity, fatty liver, health, hepatitis, hepatocellular carcinoma, infection, insulin, insulin resistance, Jaundice, liver cancer, liver cancer symptoms, liver disease, obesity, pain, report, smoking, sugar, thyroid, thyroid cancer, virus, what causes liver cancer.